Contemporary manifestations of surveillance are now tied to an extremely heterogeneous network of elements, active in multiple scales. Apparatuses of mass surveillance, as revealed by Edward Snowden, connect states and corporations; national security agencies and personal data on the Internet; espionage of heads of state and market interests; war on terror and Big Data companies. Such dynamics of contemporary surveillance force us to reconsider the notion of territory according to different levels of questioning. Discussing the territory in this context also represents defining the conditions for the existence of individuals, institutions, bodies and subjectivities. Informational, urban and subjective territories, but also territories for an expanded production of economic value, and for the mundane aspects of life, among others, can be either privileged zones or resistance zones, concerning strategies of surveillance and control. At the same time, actions and discussions in the field of tecnopolitics are creating a fertile domain of tactics for tackling such strategies and exploring other ways of inhabiting and acting collectively in contemporary sociotechnical networks. 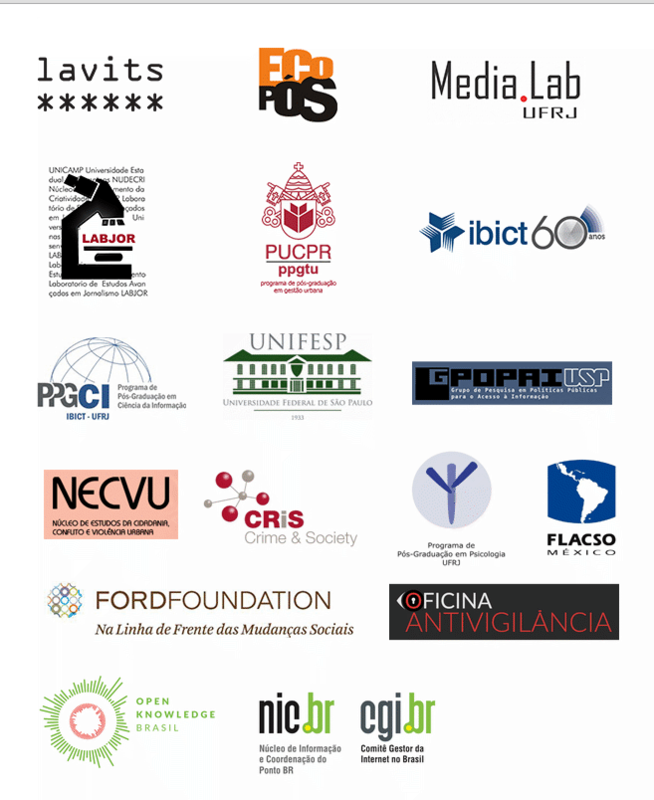 Surveillance, Tecnopolitics and Territories thus form the triad of problems that make up the Third International Symposium of the Latin American Network of Surveillance, Technology and Society Studies/LAVITS, to be held between 13th and 15th of May 2015 in Rio de Janeiro, Brazil. This triad especially affects this city, in the interim of a series of mega events that leave a legacy of a renewed and significant range of security and surveillance technologies. In addition, Brazil and other Latin American countries are experiencing a cycle of struggles and protests in which the city and distributed communication networks occupy a decisive place, making critical the debate on surveillance, tecnopolitics and territories on a global and local scale. Mobile and wearable surveillance: drones, GPS, smartphones, integrated cameras etc.